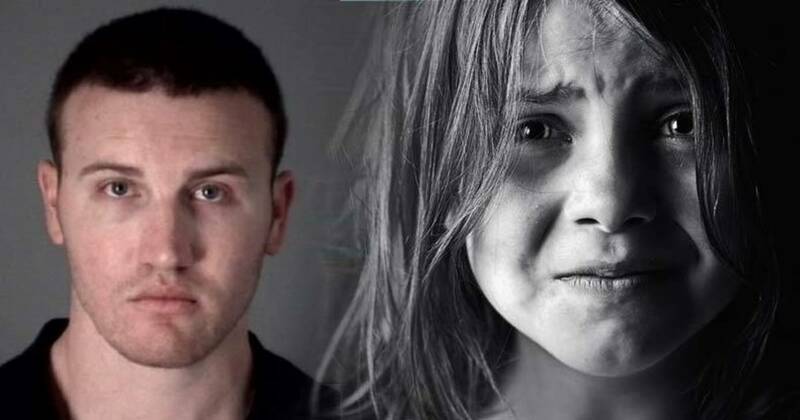 New Port Richey, FL — Deputy Ryan Ferguson, 29, with the Pasco County Sheriff’s Office was arrested Thursday after a 7-year-old girl came forward with disturbing allegations of brutality. According to the arrest affidavit, the girl, who remains unnamed, told investigators that Ferguson shoved liquid soap into her mouth and accused her of lying. He then picked her up, threw her on the couch and began beating her rear end. While choking and gagging from the soap, Ferguson then picked the little girl up and slammed her down on the tile floor where he attacked her further. Ferguson was throwing both open hand slaps and closed-fist punches into the face of this innocent child as he began choking her to death. According to the affidavit, the girl could barely breathe as he held his hand on her throat while punching her in the face. The next day, the girl reported Ferguson to police and detectives confirmed her injuries. A doctor with Pasco’s Child Protection Team (CPT) also found that the girl had bruises under her eyes, which were consistent with being choked for an extended period. She had bruises on her forehead, according to the doctor, which were consistent with being punched with a closed fist. During the investigation, the 7-year-old victim’s sibling described witnessing the same violent scene to detectives as she was present during this violent fit of rage. When he was questioned, Ferguson denied hitting the girl. He claimed that he had only spanked her bottom. The officer had the audacity to claim that both children were lying about what happened, and her injuries occurred after a grocery cart had fallen on her. However, according to the doctor who examined the little girl, her injuries could not have been from a shopping cart and are “without a doubt from a violent and severe beating about the face as well as choking which is exactly as the victim reported it occurred,” said the affidavit. Ferguson has been charged with child abuse and he was booked into the Land O’ Lakes jail on Thursday. The Free Thought Project contacted the Pasco County Sheriff’s Office but they would not release the relationship of Ferguson to the girl.